Have you ever wished you could climb Mt. Everest? Or, ever flipped through the pages of National Geographic magazine in awe of some feat of high-altitude strength and fearlessness? The alpine explorers that embark on these treks are not so different than the rest of us. Their summit just happens to be the tallest mountain in the world. We each have a peak that we strive to reach, for some, it may be a graduate education or starting your own business, for others a promotion to CEO at a Fortune 500 company. No matter what your goal, it’s important to recognize that it takes a team to get you to the top. 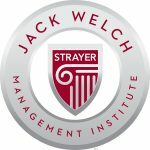 As part of Jack Welch Management Institute’s Leadership Live series, Dean of Faculty, Mike Zeliff recently sat down with James Schenck, CEO of PenFed Credit Union. Since becoming CEO in April of 2014, James led PenFed’s asset growth from $17.6 Billion to over $23 Billion; grew its Net Income from $116 million to $182 million in 2016, and increased its membership to over 1.6 million members. So how does James drive success, or more appropriately, in business, how does one successfully summit their “mountain”? Get involved with activities that help you refine your passion. 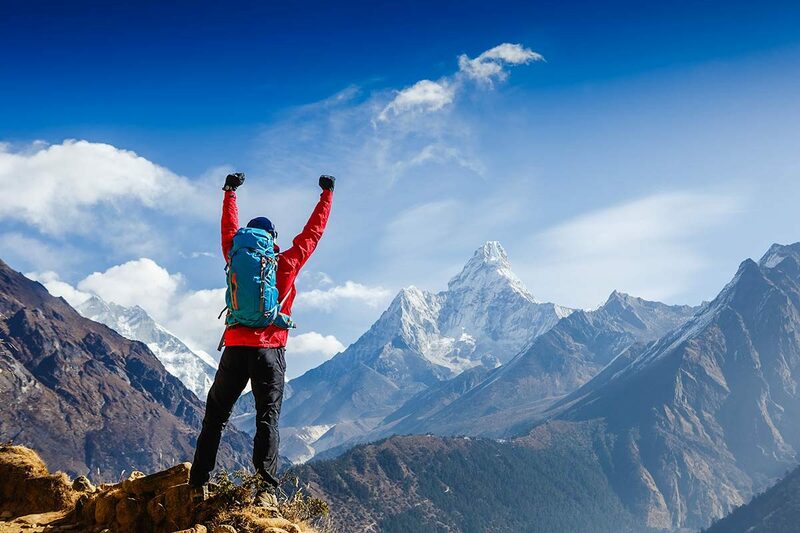 Working for a greater cause than just money will ensure that when you come across a boulder on your path to the top, you will have the drive to find a way around it. Passion helps build self-confidence, it creates excitement, and it’s contagious. Once you find a company or mission that you are passionate about, you will find a team that you can connect with and who can help you with any obstacle or challenge. 2. Set a BIG goal. Anyone can climb the hill in his backyard. If you crave success, you must set a BIG goal for your company, department or team. After all, no one wants to be a part of an average team. Set a large goal that ensures no one person can reach it on his own. Instead, encourage the team to work together to accomplish its mission. And don’t forget about setting milestones along the way. Think of them as basecamps that will allow team members to celebrate small wins on the way to the top. 3. 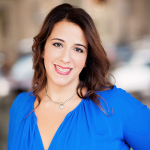 Hire guides with team egos. Does the candidate have a performance ego? You want to choose an employee who is inspired by a challenge or task and strives to go above and beyond to complete it. While you may find many employees with a performance ego, the team ego is the critical criteria for success. “Give three warm fuzzies every day.” Find an opportunity to give an earned compliment to people that exceed your expectations. This simple act takes no time, and the payoff is huge. Getting to the top is never easy, and it shouldn’t be. There are opportunities to learn and grow along the way. But, with the right team in place and the right mindset, it’s a little bit easier. Setting yourself up for success makes all the difference in the world. And, you never know where all this preparation could take you… maybe to the top of Mt. Everest. Get ready to plant your flag and enjoy the view. Would you like to watch the entire Leadership Live session with James Schenck? Email us. 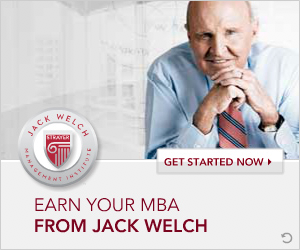 For more information on Jack Welch Management Institute visit us. Thanks for your interest. 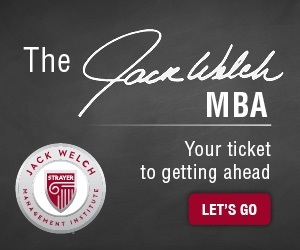 You can email information@jwmi.com and they will be able to assist you with gaining access to the entire Leadership Live session with James Schenck.